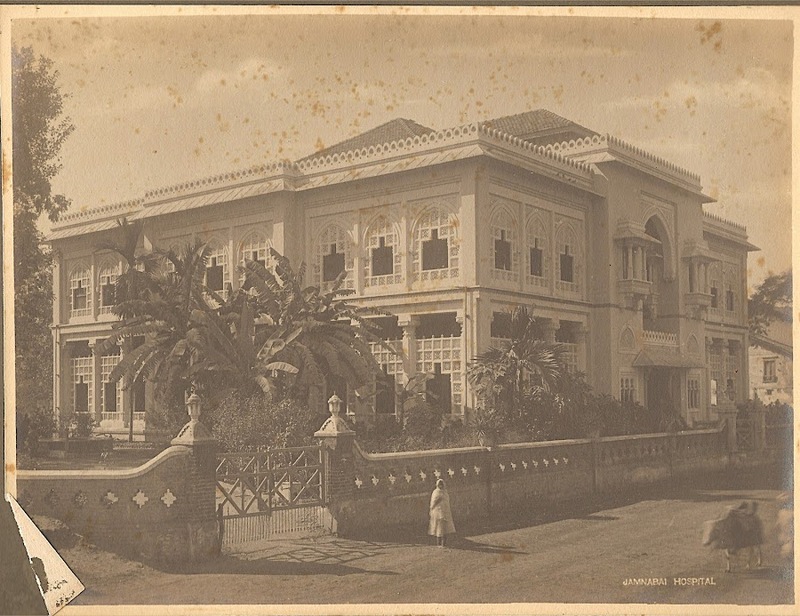 Jamnabai Hospital (earlier military office building) dates from the mid to late 19th century. It is built of brick and masonry in an Indo-Saracenic style, with a projecting entrance portico and arched window arcades inset with carved stone jali screens. The building is now somewhat broken from many sides. The hospital is now Police Chowki and the hospital has now moved to Building just next to it. Agent to the Governor General: P.S. Melvill Esquire C.S.I. Dewan Raja Sir T. Madava Row K.C.S.I. State Engineer: G. Knox-Hill Esquire C.E.